Last minute gifts? How about a gift certificate? Maybe you are a procastinator or maybe you have simply been super-busy and overwelmed that you really did’t get the chance to make Christmas shopping for your loved ones. Don’t panic, we’ll get you covered!! How does it sound to give her the possibility to choose her favorite jewelry? The only thing you have to think about is to pick the size you want, then you are all set: a gift certificate will be delivered to your email, you can print it and give it to your loved ones. Turn on the magic, let her be her own kind of beautiful. Plus, any remainder of the certificate may be used in the future, does not expire. Have you explored our very own Enchanted Collection yet? The most part of this collection is made with rainbow aura quartz, which is an healing crystal very energizing on every level. These tiny pieces will be an important and valuable gift for her, a special way to say thank you to the most important women of your life. Whether you’re looking for the perfect gift for sisters, wife, mom, glam girls, or daughters, we have plenty of brilliant gift ideas and they are all under $100. No more excuse: it’s time to get her what she really wants and deserves! Enjoy your instant 20% COUPON CODE here. Because the jewelry you wear is really a reflection of who you are inside, you really need it to be meaningful to you. This is why I do think that fashion and trends are not the first thing you should consider when buying a piece of jewelry, because, let’s face it: who wants to wear something simply because it is trendy if that is not aligned with our personality? Do you remember the time when you bought a pair of trousers that you weared, like, never? Maybe you did it because they were on trend in that moment or simply because they looked beautiful to you but, then, you realized that you couldn’t be confident by wearing them, simply because they didn’t reflect your personality and style. You don’t want this to happen with your jewelry, right? Well, as jewelry can really make the difference in complementing your personality and expressing your inner self, I would really suggest you to choose a piece that is meaningful to you and to make sure that you can feel confident and beautiful by wearing it. Invest in quality: as jewelry can be easly used as a statement to understand and actualize our best selves, I would really suggest you to invest in quality jewelry that will last forever, because remember: you get what you pay for. Expression of love: jewelry is often used to celebrate a special event, as an expression of love, for this reason it has the power to bring people back to particular memories that symbolize affection between them. 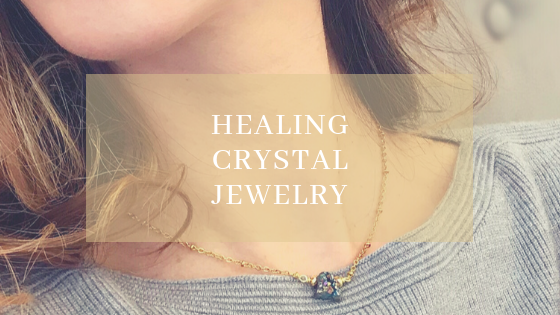 Healing jewelry: also, jewelry is so important because if you do choose the one that fits the best on you, it may have healt benefits as well. For istance, some gemstones can balance your energy (agate), provide relax (amethyst), give a higher consciousness (aquamarine), give confidence and protection (onyx), gain clarity on some confusing situations (tiger eye), connect the mind to the infinite possibilities of the Universe (turquoise), just to name some of them. The cool think about jewelry is all about matching pieces that can beautifully stay together. But you may feel insecure about which pieces can be weared together creating an amazing look!! That’s why ICALIPSOTreasures created a whole line of jewelry that you can use both as single piece or in a total look! The cool thing about a set is that you can pick the piece you want and wear it every day and you can also create an amazing total look for a formal event. This gemstone carries peace and a feminine energy of tenderness. It is considered to be stone of the heart and uncondicional love, bringing calm and well-being. Because of its properties, I’ve decided to create many pieces of jewelry with this amazing gemstone. They are now available for sale on my etsy shop. A woman does not need to get noticed to be appreciated, her real elegance is in discretion of her choices. Even in style, as in life, details makes the difference. When you are in doubt about style, simplicity is always the right choise. Join CERIGNOLA FASHION Art on FacebookAn important fashion event will be hosted in Cerignola (FG), Piazza della Repubblica, on the next 24th june. ICALIPSO with its own collection of gemstone jewels will take part in this great project with many other talented designers. Long necklaces are a must have of this summer. Gemstones and pearls, mixed with innovative materials and design have the best rule on the most important runways. Even maxi and asymmetric short necklaces with charms, gold spikes and colored stones are highly appreciated.